Railpictures.ca - Doug Lawson Photo: idling away the time at the diesel shop in the south yard of the former BC Rail. | Railpictures.ca – Canadian Railway Photography – photographie ferroviaire Canadienne. 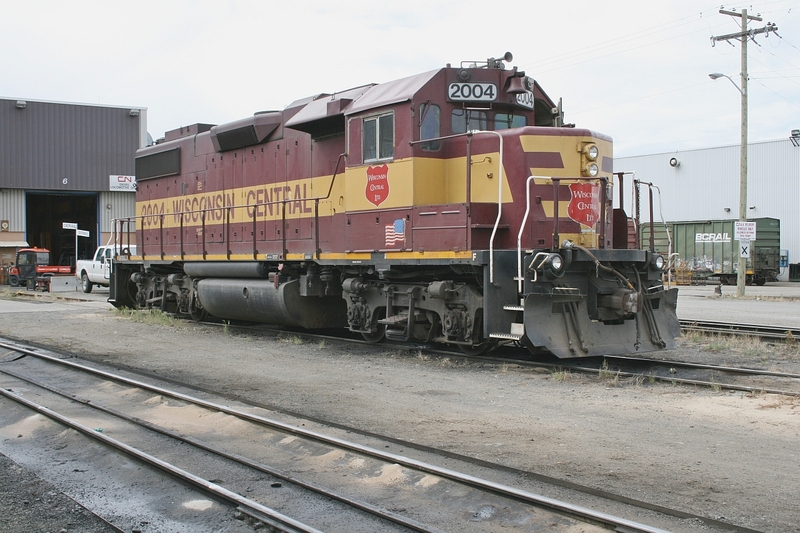 Caption: idling away the time at the diesel shop in the south yard of the former BC Rail.